The ongoing strike at Canada Post is taking aim at Chatham today. The Canadian Union of Postal Workers says staff walked off the job at midnight, along with workers in a number of other communities across southern Ontario including Stratford, Strathroy, Woodstock, and Canada’s largest processing centre in Toronto. There’s no word on when the strike will be resolved. Since October 22, CUPW’s rotating strikes have shut down Canada Post’s operations in more than 100 communities across the country. 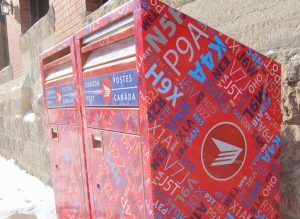 Canada Post officials say the corporation has made significant offers to CUPW that include increased wages, job security, and improved benefits, and it has not asked for any concessions in return. For its part, CUPW officials has called for a ban on overtime.